One of the most important concepts children learn is body awareness. They learn not only what their bodies look like and feel like, but also what their bodies are capable of doing. Toddlers discover how they fit into their world through observations of their own characteristics so that later on they can make comparisons between themselves and other children. Here are some fun ‘all about me’ crafts for toddlers to introduce to your class. Bring a mirror into the classroom, either a hand mirror or one attached to the wall. Invite the children to look at themselves. Encourage them to talk about themselves – the color of their hair, eyes, skin, fingers, and so on. Help them to see the differences between the children. For example, Susi may have brown hair and Sam has blonde hair. Keep the conversation going and then let the toddlers make a mirror face craft with your help. Cut out a large hand-mirror shape from construction paper for each child. In the middle, attach a square of aluminum foil with rolled tape. Invite the toddlers to draw facial features – eyes, nose, and mouth on the foil with crayons. 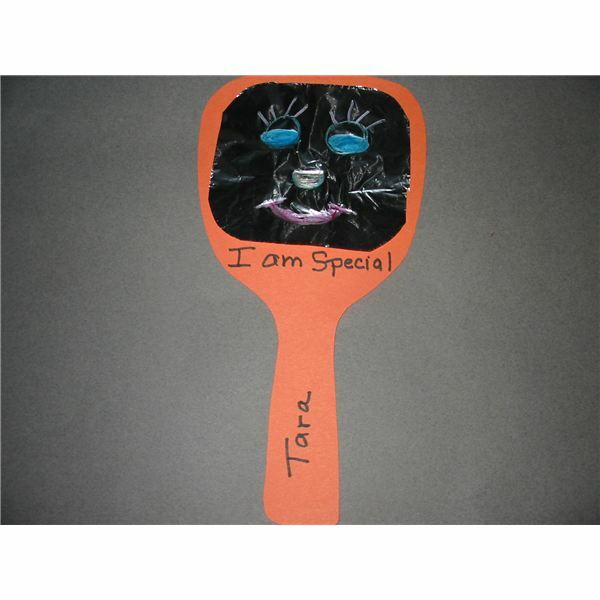 On the top of each mirror, the teacher can print "I Am Special" with a black marker. This makes a fun shirt for the children to wear now and a piece of memorabilia for the parents later. Place a sheet of cardboard inside the shirt to keep the paint from bleeding through. The teacher (and helper) can paint the children’s bare feet with non-toxic fabric paint and help them to step onto the front of the T-shirt. Next, the child’s hands can be painted and printed with the same instructions above. There should be room for two feet and two hands, or make just one of each. Use soap and water for cleaning the hands and feet. Let the shirt dry completely before sending it home. Explain to the toddlers how hands and feet are special to a child. Everyone has them, but they can be slightly different in size and color. 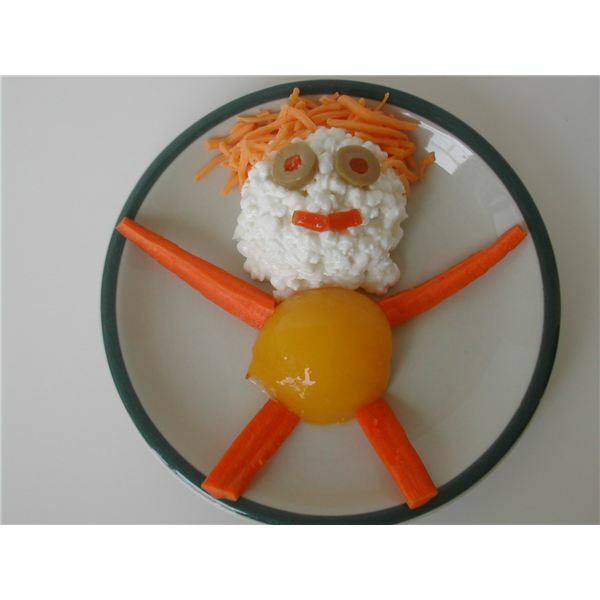 An edible snack or lunch craft that reinforces body awareness is perfect for this theme. Help the toddlers to arrange these foods on a paper plate to look like a picture of themselves. Place a scoop of cottage cheese to form a head. Invite the children to decorate the face with olive slices for eyes, cherry tomato for a nose, and slice of pepper for a mouth. Use the shredded cheese on top of the scoop to make hair. Use the carrot sticks for the arms and legs. Don’t be afraid to substitute favorite foods in your creations. Let the toddlers admire their "me" salad and then enjoy this healthy treat. Use these simple all about me crafts for toddlers in your lesson plans to increase interest in body awareness and the concept of ‘self’. As an added activity read the book, From Head to Toe by Eric Carle, stopping after each animal says a body part and a movement in the story. Ask the toddlers if they can find that part on their own body and do the action too!